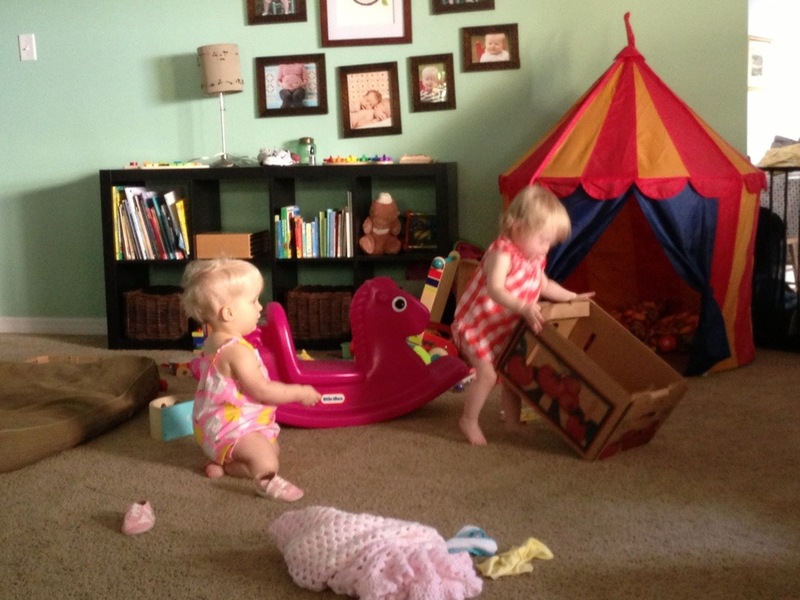 I’ve written about cloth diapering newborns and infants, but I figured now that the girls are 17 months, it’s time for an update on the toddler phase of this operation. One new development: a diaper sprayer is a must in the toddler years. (I’m about to talk about poop. There’s no way around it. You’ve been warned.) While newborn and infant poop is water soluble, once baby is really eating solids, you’re gonna need to get most of that off the diaper before you wash it. For us, this was around 13 months. Of course, you could be lucky and just have a kid like one of ours (not naming names because they’ll be Google-able someday), whose poops are just little turds that easily roll off the diaper into the toilet. No sprayer necessary, pretty much ever, if that’s the case. 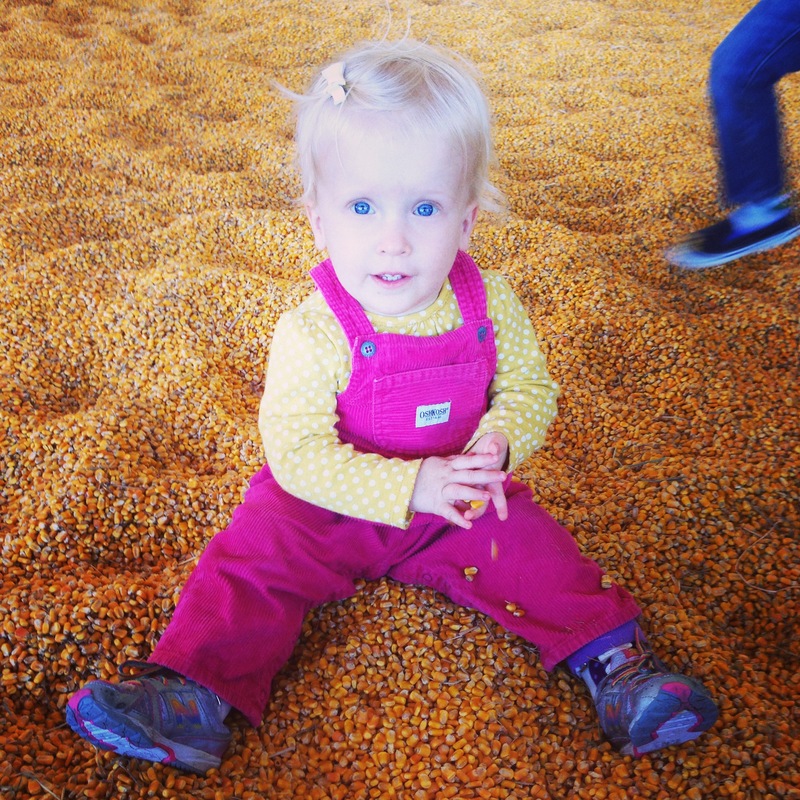 But for our other kid, her poops are just a sticky mess and must be sprayed off. We have a sprayer from BumGenius, and my husband easily and quickly installed it on the toilet in the girls’ bathroom. It works great, just like the sink sprayer you probably have in the kitchen. Also, toddlers pee more. Their bladders hold more, so you may find yourself needing to up the absorbency in your diapers. This is one reason why pocket style diapers are my favorite. It’s super easy to add an extra insert, preferably in a natural fiber like cotton, bamboo, or hemp, when you need to add absorbency, like nap time, or when you’ll be out and about. I like bamboo inserts from Alva Baby and hemp from Thirsties. This also means you might have to find a new system for overnights to keep baby from waking up soaked. Our girls are such heavy wetters that I have yet to find a disposable diaper that doesn’t leak overnight, so even if we’re traveling and using disposable diapers, I put a cloth cover over the disposable to prevent leaks. Meanwhile, through trial and error, I’ve found cloth diaper systems that help them go more than 12 hours leak-free. For our heavier wetter, we use a Flip cover stuffed with one Flip organic overnight insert with a Flip stay dry insert over that. For the other girl, we use either a Thirsties Fab Fitted stuffed with a small Thirsties hemp insert inside a Flip cover or a Green Mountain workhorse fitted with a small Thirsties hemp insert and a fleece liner to keep her feeling dry (I cut up an old sweatshirt) inside a Flip cover. Make it as easy on the caregivers as possible. For us, this means I take pre-stuffed pocket diapers all ready to go. I also don’t require them to spray poops or unstuff the diapers. Since their changing table is right next to a toilet, they dump the ploppable poops in the trash, then fold up the diapers and stuff them in a wetbag. I unstuff them when I get them home and throw them in the wash. I also didn’t try to rock the boat with cloth wipes. Just getting them to cloth diaper is enough for me! I also made sure the only diaper cream we provide is CD safe, which isn’t a problem because each kid supplies his own cream. Ask how many times a day they change kids, and send enough changes plus a couple extras. Our center changes kids every 2 hours, and she’s there from 8:30-3:30. I make sure they have 6 cloth diapers in Claire’s cubby at all times, along with a medium wetbag (we have 2 medium wetbags that get rotated according to which is in the wash). Make sure you tell them: “Put it on tighter than you think it needs to be.” I have found that putting on diapers too loose is the number one reason non-CDers have leaks when they try cloth diapers. I explained that the key to keeping wetness in was a tight seal around the waist and legs, and while they had a couple of leaks at first, our teachers eventually got it down. I also reassured them that a little redness from the elastic is normal, but we don’t want deep red marks. 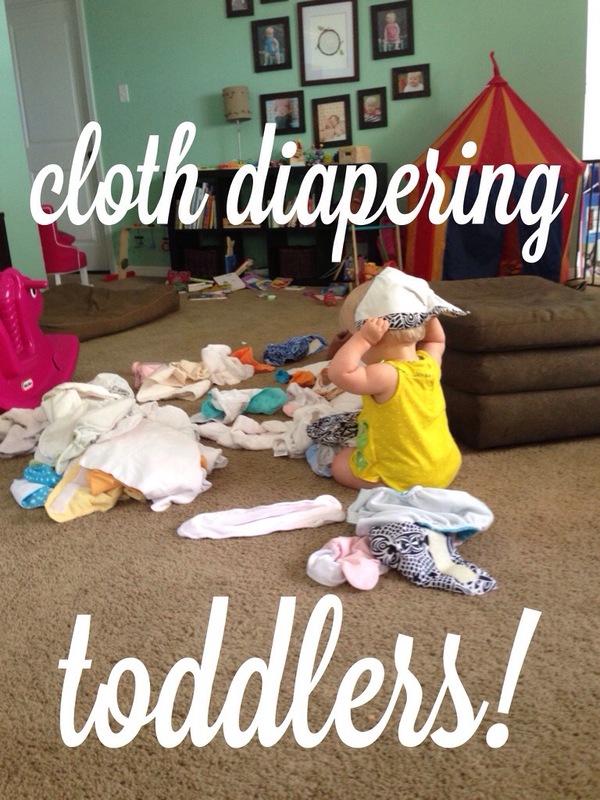 Do you cloth diaper a toddler? Have any tips to share? Any questions? On Monday, Claire is starting SCHOOL! While I have images of my tiny person with a tiny backpack sitting at a tiny desk, the real story is that she’s starting at a developmental preschool at the same place she currently has all her therapies. For the past 6 months, I’ve been getting her to 6 therapy appointments per week, which presents a bit of a problem for someone with twins– something must be done with Etta while Claire’s working on her skillz. So, for all this time, Etta has been attending the fabulous daycare at the hospital where my husband works. Meanwhile, the therapy place has this “preschool,” which would be fully covered by Claire’s insurance and TEFRA, but we were waiting on a spot. This is a better situation because Claire will be able to get all her therapies in house, and not have to have them back to back, ever, which I know she will like, because when she has to have two therapies back to back, she mostly falls apart through the second session. And, on top of that, she can finally start the feeding therapy we’ve been waiting on because adding another appointment each week to the mix seemed a little nuts. It’s also better because she’ll get to be in a class with other kids with similar stuff going on, including another kid about her age who also has spina bifida! I really like the idea of her having a picture in her head that kids like her are “normal,” and I like that this preschool is a mix of kids with physical/intellectual/social disabilities, but also typical kids. 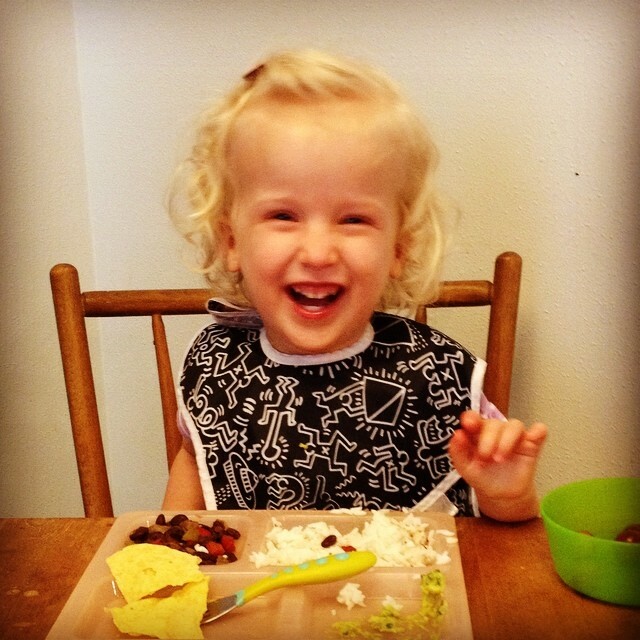 So, with Claire starting at the preschool, Friday is Etta’s last day in daycare. After 6 months of lots of one-on-one time with Claire, I have to confess, I’m really looking forward to some time with my Etta girl. And I’m REALLY looking forward to seeing Claire’s progress once she’s finally getting all the therapies she needs. She’ll be in “school” from 8ish (let’s be real, I’m just striving to have her there by 9) to 4:00 each day, Monday-Friday, which is a big schedule change for us. Just getting the three of us out the door, Etta dropped off at daycare, and Claire to therapy by 9 three days a week has been a struggle for me. I think I’m going to have to start (sob) getting myself up early enough to shower and get myself ready before the girls wake up. I have been enjoying getting to sleep in to 7:30! (Can someone please go back and tell 22 year old me that one day I’d think 7:30 was sleeping in? She’ll laugh in your face.) And I’m really going to have to get better about having bottles and bags ready for the night before. Who knew we’d be arriving at “first day of school” so soon? !